Why teach about other countries? Location: Large view to small on maps. Tell one piece of information from each different Internet visual from a place in that country. Have students do a Visual Analysis and Interpretation (Literal; Inference; and Value) for visuals from another country. Use Flickr to find current images. Analyze the same topic by looking at pictures from various countries in the same continent. Have students interview a person from another country for a specific topic about her/his country and record on mobile. Avoid visual and verbal stereotypes and overcome existing ones. What attitude will your students have about the people of the country after the lesson/unit? L.2 Conventions Mobile Online Survey. Teachers can give their students quick conventions formative assessment QR codes that link to an online survey/quiz such as in Google Forms. Each week the teachers focus on a specific part of the conventions such as capitalization. For example, teachers give four statements and the students select the one with incorrect capitalization. As the teachers project the graph of that day’s online quiz and they discover that many students have made errors, they present a micro-lesson on that aspect of capitalization. Teachers can have QR codes for online videos so students can also review that specific convention at another time. SL.4 Photo Description Organized by Space. Teachers have their students describe a picture using space organized words. Teachers ask their students to take a mobile picture from their home of a far away location. In class, the teachers review how to use space or location words to organize the students speaking. The teachers share a list of space words such as “in front of,” “to the left,” and “two blocks.” The teachers ask their students to pair up. One student describes how to get from his/her house or apartment to the far away place. The other student listens for and writes down all the space words or phrases that the speaker uses. The listening partner tells the speaker how many space organization words he/she used and suggests other space organization words that would clarify the directions even more. Next, the other student describes his/her picture while the partner listens and gives feedback. The students audio record their revised speaking and post it in an online class management system such as Schoology. As students determine the theme for a piece of literature, they focus on key words that help them explore that theme. In groups of two or three students, one student has downloaded to a mobile device the public domain version of the literature such as Garcia Lorca’s Blood Wedding. That group of students may search for the word “knife” in the play by using the Find feature in the e-publication. They create a paper chart with three columns: 1) Act and Scene 2) number of times the word appears; and 3) who says it or does something with it that reflects the theme of the play. When they finish with their chart, they take a picture and post it in an online class management system such as Schoology. 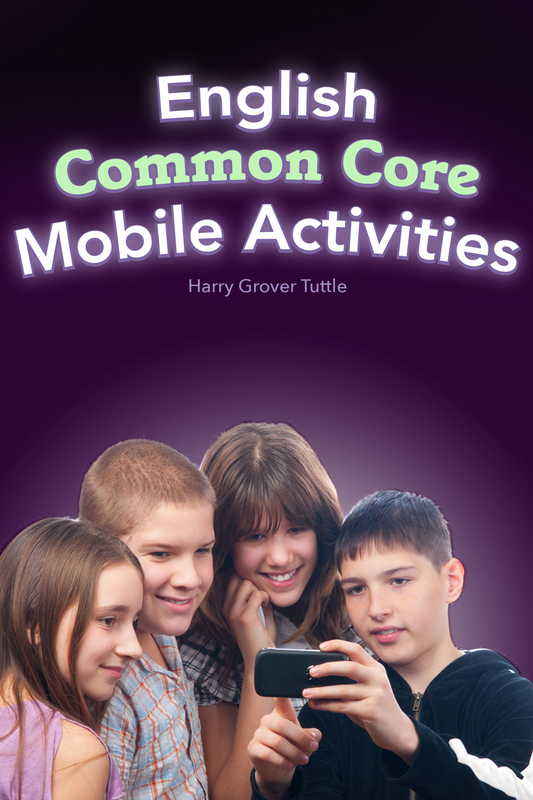 Use these 150+ different mobile activities in my ebook,English Common Core Mobile Activities, to guide your students in learning and demonstrating the English Language Arts Common Core State Standards (CCSS) Anchor Statements in Language, Speaking and Listening, Reading, and Writing. The activities, organized by Anchor Statements, actively engage your students. More than half the activities are non-fiction. Although the ebook is intended for grades 6-12, teachers at both the elementary and the college level can easily adapt the activities. Over 98% of the suggested apps are free and work on both Android and iPad. Many of these activities can be implemented immediately in the classroom. 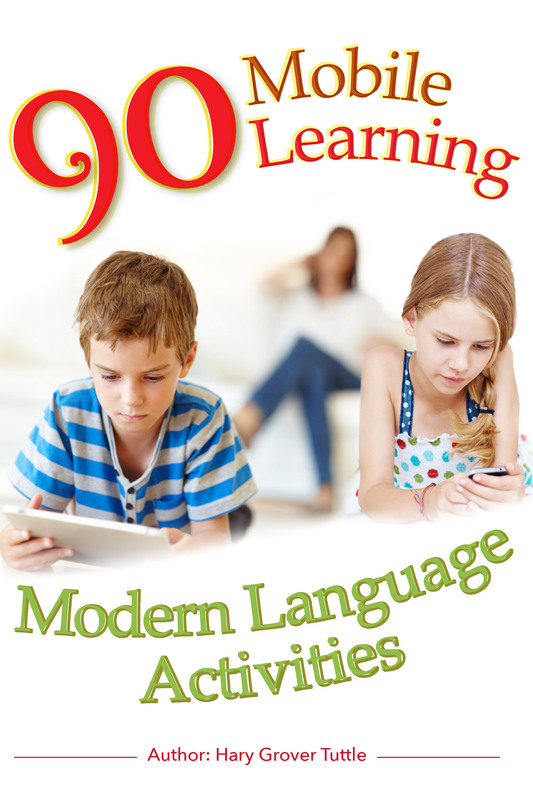 Each activity is described in detail; most students already can use the app in each activity. Students spend time in achieving the Anchor Statements, not in learning apps. Many of these mobile activities are done in pairs or small group so not all students need to have a mobile device. How will students’ mobile device be used for learning? How will the students’ mobile device primarily be used? What other ways can teachers have students use mobile devices to engage in learning? to get information from others via texting, email, etc.